For most of us, solid waste (trash) holds no value, but millions around the globe are reliant on the debris of others as their primary source of income. Solid Waste Management (SWM) is among the essential services performed by formal entities and informal individuals alike, which keep urban centers clean. Informal waste workers, in particular, have long critically filled gaps in India’s formal collection services due to their capacity to divert vast amounts of waste out of landfills by collecting and sorting municipal waste and simultaneously derive income. 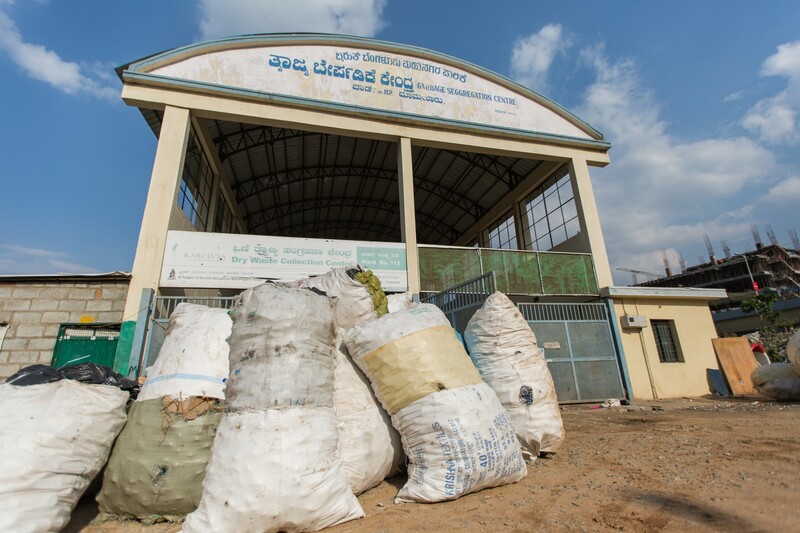 In Bengaluru (Bangalore), the informal waste worker force subsidizes municipal waste management by gathering and sorting roughly 1,050 tons of the city’s total 3,000–4,000 tons of generated municipal solid waste per day. However, due to their informal status, waste workers are consistently under-valued and harassed; their lack of access to financial, social and networking services critically undermines their efficacy. After decades of planning and activism, the government of Bengaluru is beginning to implement some of the policies and promote activities advocated for by its citizens, activists and, NGOs, but there are still many challenges when it comes to strengthening the livelihoods of the workers. 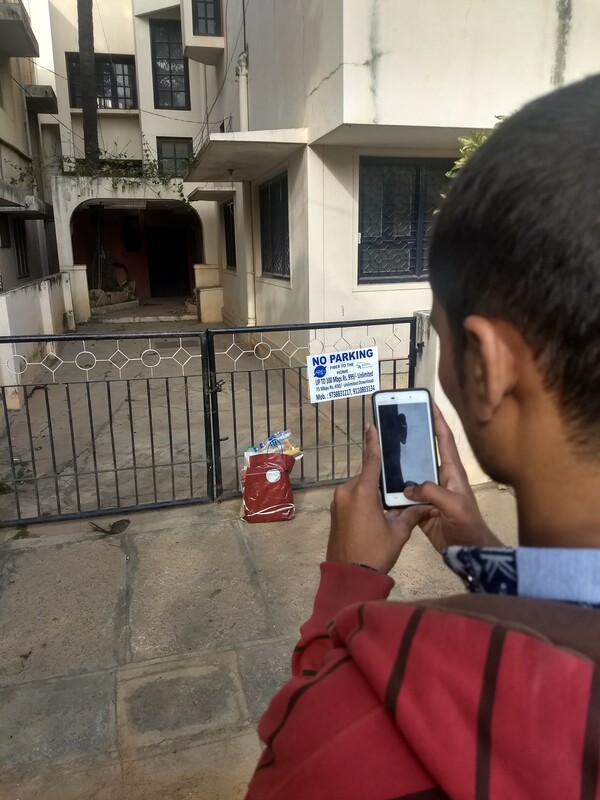 In particular, the Bengaluru municipality has taken steps to promote source segregation by offering door-to-door collection of both wet and dry waste. Out of the 198 wards in Bengaluru, nearly 50 receive the door-to-door waste collection service. The solid waste collected in each ward is aggregated in government-built facilities known as Dry Waste Collection Centres (DWCCs). Mansoor began working in the waste management sector when he was 15, and today, he operates the DWCC of Wards 168 and 169 on behalf of the city of Bangalore. 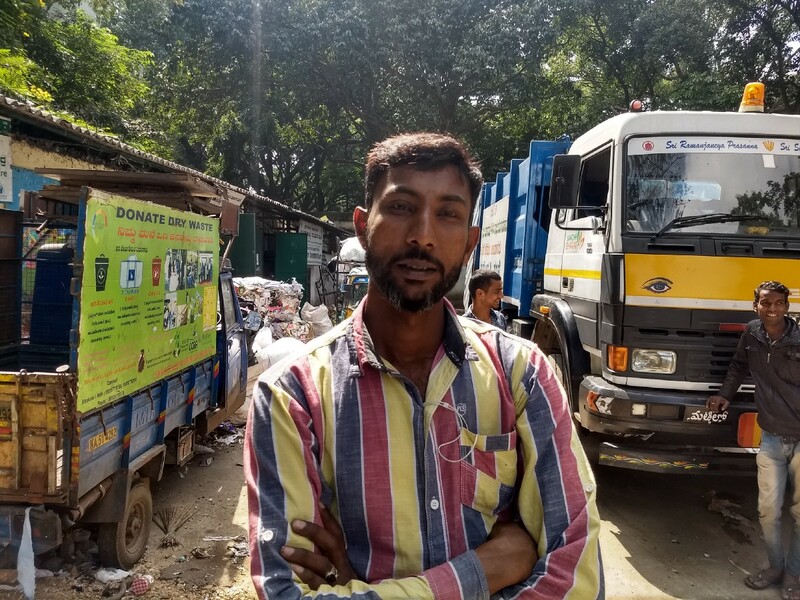 Hasiru Dala Trusts, a local nonprofit, helped Mansoor join the formal waste management workforce eight months ago by helping him navigate the process of obtaining a government identification card and facilitating his connection with S3IDF. Prior to the formalization of the work, Mansoor had been providing door-to-door waste collection for free. In last five years, Mansoor has been able to scale up his business significantly due to S3IDF’s access to gap filling financial linkages and hands-on business training. Mansoor has not only created 15 new jobs for individuals from poor communities, but he’s also a vocal advocate for change in the sector. He actively promotes waste segregation by giving talks on his experiences throughout Bengaluru. Find any waste picker in the ward 168 & ward 169, and chances are, they’ll know Mansoor and Hasiru Dala Trust’s Team. I recently joined Mansoor’s Ward 168 collection team, Sahil and Manjunath, to learn more about how the collection takes place. They drive to households and small commercial businesses in each of the Ward’s three zones starting at 6:30, working until 15:30 to collect solid waste. Sahil drives, while Manjunath retrieves the waste and puts it in the back of the van. Over a span of nine hours, they cover approximately 3,000 of the total 12,000 homes that make up the ward. Out the 3,000, about 250 of homes give their solid waste to the door-to-door service. The household collection is usually done by 14:30, and in the remaining hour or hour and a half, the team collects solid waste from small commercial shops like provision stores, shoe stores, chemists, etc. As a proof of their day’s work, the municipal authority requires the duo to take 300 pictures of a worker collecting the dry waste, and collect 600 signatures from the residents along the route. Taking photos isn’t a problem, the team uses their smartphones, however, obtaining the signatures presents a challenge. According to Sahil, “people simply keep the trash outside their homes and don’t like to come out.” He is troubled by the lack of gratitude residents show for the service. In Sahil’s mind, this is indicative of the sentiment of apathy in India towards separating waste from recyclables. This indifference leads to people burning their household waste and littering from their vehicles. Initiating conversations around the adverse effects of mishandling waste can act as a catalytic force to bring about behavioral change on the household level, and Mansoor and his team hope that awareness for this issue will continue to rise. In theory, the municipal body provides waste collection in Ward 168 via Mansoor’s service. However, in practice, the municipality has failed to pay Mansoor and his team for their work over the last seven months. In fact, the city has not paid for the services of any of the DWCC’s operating in Bangalore for the past seven months. In the meantime, Mansoor depends on financial services like an overdraft account and loans to cover the operational costs of door-to-door dry waste collection in the two wards. Mansoor is unique in the solid waste management sector in that he has gained access, with the critical support of S3IDF, to formal credit and financial services. The majority of waste workers, particularly informal waste workers, do not have the business acumen, credit history, nor financial sector connections to gain access to formal financing solutions and instead must rely on friends or predatory informal money lenders to keep their enterprises functioning and fulfilling the city’s needs. S3IDF collaborates with individuals like Mansoor to combine our deep knowledge of waste worker enterprise needs, and extensive experience in facilitating innovative financial mechanisms, and engineer permanent financial solutions that increase waste entrepreneur capacity. However, if the salaries remain unpaid in 2018, Mansoor will have to take on another loan or stop operating the DWCC. Stay tuned for next update. We’ll learn about factors that lead to changes in prices of dry waste.